"I enjoyed all the jaunts. The Festival of Quilts was amazing." *The exact time and location of the official tour start will be announced closer to travel time. 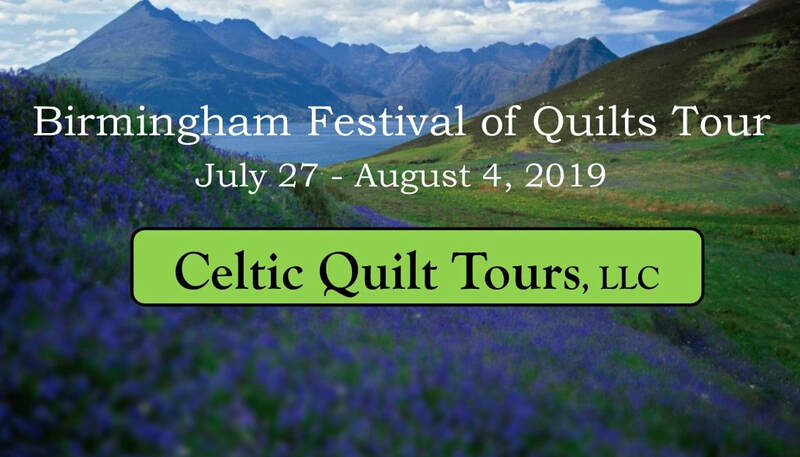 If you choose to arrive into Birmingham ahead of the tour start (highly recommended), Celtic Quilt Tours would be happy to assist you with hotel accommodation for a pre-tour stay. and have done an excellent job attracting a great group of travelers for their tours."